A north Minneapolis area of 255 blocks is the site of a grand experiment to lift children out of generational poverty. The Northside Achievement Zone won a Promise Neighborhood federal grant in 2011 with the goal of seeing each child graduate from high school, ready to succeed in college. It's an ambitious goal in a stretch of the city where most children start school behind, and never catch up. "Have you ever seen a shuttle take off? That's us!" said NAZ president and CEO Sondra Samuels. A year and a half into its five-year federal grant, the Northside Achievement Zone has 300 families participating with their 800 children. By the end of next year, the goal is to have 1,200 families and 5,000 children enrolled. "SOMEONE TO HAVE YOUR BACK"
NAZ is inspired by the Harlem Children's Zone, a successful two-decades old effort in New York to prepare children from poor families for cradle-to-college success. Samuels said poor families want their children to do well. "Every single family we talked to, [we asked] 'Would you like your children to go to college and if so, could you use someone having your back to make that happen? '," said Samuels. "Now, we all do, right? Everybody needs somebody having our back and we all want our children to go to college, right? But if you have money and you're educated, you can buy your support, right? It's very different than when you're not and you're poor." That's where the Northside Achievement Zone and its many partner organizations come in. Samuels has a staff of "NAZ connectors" who work directly with families to come up with a plan for how they'll get their kids to college. "And when we door-knocked and asked that question ... nobody said, 'No, you know, I was thinking Johnny would hang out on Penn Avenue, pants down to his ankles and sell a little weed.' You know, nobody said that. That's not their dream for their children," said Samuels. Samuels is a black professional who grew up in New Jersey. After graduate school, she was recruited by Ford Motor Company to take a marketing job in Minneapolis in 1989. She's married to Minneapolis City Council member and mayoral candidate Don Samuels. 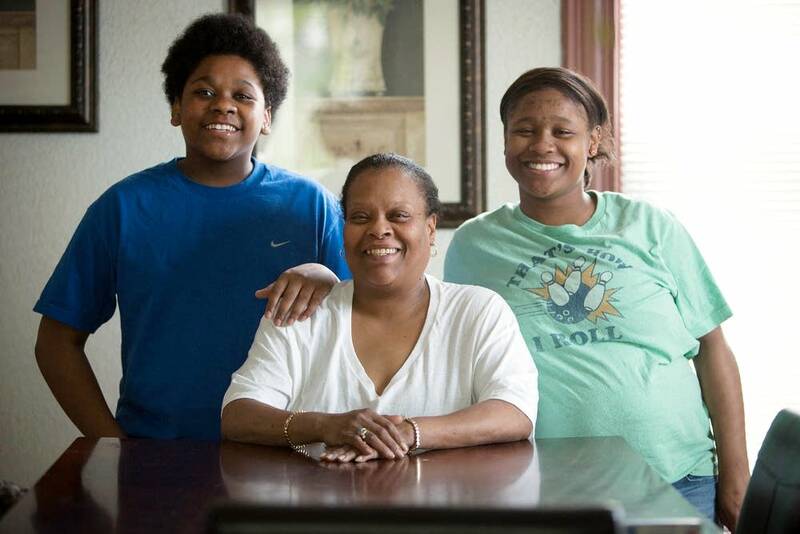 They're raising their three children in the Northside Achievement Zone, which is bounded by West Broadway on the south, Penn Avenue on the west, Interstate 94 to the east and 35th Avenue North as its northern border. NAZ headquarters is perched on the southwest corner of the zone at West Broadway and Penn, in a renovated building that was once boarded up. A giant sculpture of colorful metal flowers marks the intersection. In 2010, less than a third of children here were ready for kindergarten. The African-American high school graduation rate hovers at just 36 percent. Ninety percent of NAZ heads of household are African American, 6 percent are Caucasian and 4 percent are Asian, American Indian or multiracial. Melissa Wilson, the mother of two teenagers at North High comes for an enrollment meeting. Wilson's NAZ Connector, Delilah Montgomery, asks how her 10th-grade son is doing in school. "He's got some B's, a C, and two F's," said Wilson, who added that her son feels like he's too old for the after-school tutoring program, but when he skips it, he doesn't get his homework done. "It's trying to make him have structure, to do the same thing every day as a routine so you get in the habit of coming home, doing your homework, I got to clean up, now I know I need to do this, whatever," said Wilson. "But he seems to think I'm too hard on him. They both seem to think I'm too hard on them." Montgomery listens and reinforces Wilson's point that the tutoring was working. She helps Wilson weigh the decision of summer school versus summer jobs for her teens, emphasizing the longer-term payoff of doing well in school. Wilson said she doesn't need help with housing, or employment, but she could really use support sorting out what credits her kids need to graduate. 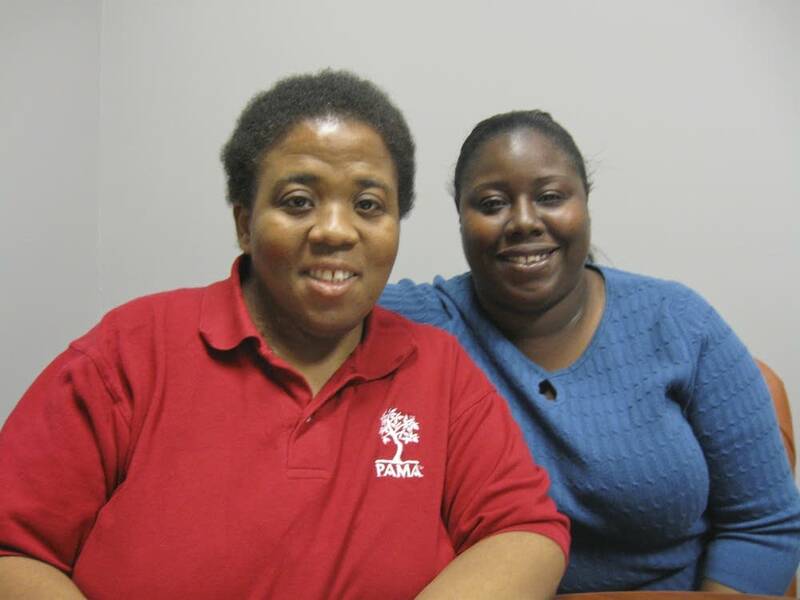 Montgomery and Wilson agree to meet at North High the next morning to get her children's records. Wilson ran late and missed the appointment, but two and a half weeks later, she went to the school on her own and learned Tommy is on track to graduate. Her son and daughter will both attend summer school. Nearly 80 percent of the Northside Achievement Zone's 53-person staff are people of color, and more than half have roots in the neighborhood. Lucretia Gill, a NAZ Connecter, was one of the first participants in NAZ's pilot program two years ago. Now she's working with 10 families, including Shawna Slack's. "Is Tyshawana excited about the last day of school?" Gill asked Slack when they met recently in a small conference room at NAZ headquarters. Slack said her daughter is mad because the school is closing. Tyshawana, 11, attended a charter school in northeast Minneapolis that lost its sponsor. Slack has enrolled her at Sojourner Truth Academy this fall, a NAZ "anchor school" where Gill works on site with Northside Achievement Zone families. Slack tries to look on the bright side of her daughter leaving the school she's attended since kindergarten. "She'll probably learn more because she's not around her friends so she'll probably get more work done and more homework done and pay attention more," said Slack. "That's are good things. Those are pluses," Gill affirms, pointing out that Tyshawana will also benefit from a summer program. "She might have a nice, smooth transition." "Hopefully, that's our goal!" Swlack replied. Meanwhile, Slack has completed a nutrition class, a renter education class, and signed up for career training in hopes of getting a job doing office support. She's also looking for an apartment so she and her daughter can move out of her mother's house and have a place of their own before school starts. "NAZ has got me motivated because I was just a couch potato, staying in the house and watching TV," said Slack. "You're a rock star," Gill told her. Gill said it's not NAZ's motivation, but Slack's own that made the difference. "As long as she's successful, she'll make sure her baby is successful and that's what NAZ is about," said Gill. NAZ President Sondra Samuels said the community is doing something for itself, which she hopes will allay skeptics' concerns that NAZ is yet another program coming in to "save" north Minneapolis. "There have been so many promises made in the north side and so many initiatives started that failed or were thwarted and so many people whose hopes were dashed against the rocks. So I know that's real and I know that's in the background," said Samuels. "But we are working every day to gain the trust and to say we're not going anywhere. That's what we tell parents, in fact. You don't leave us, we're not leaving you." The Northside Achievement Zone gives out T-shirts marked "College Graduate 2035", the year the last class is scheduled to graduate. Its $28 million federal grant will last through 2016, and NAZ is working to raise philanthropic dollars to stay on the job. The University of Minnesota and the Wilder Foundation will be monitoring results. Results from last summer are encouraging. All the children who completed a summer program at Plymouth Christian Youth Center retained what they had learned from the previous school year, and 61 percent improved at least half a grade in reading. NAZ hopes this summer, at seven sites, 250 children will make similar gains.